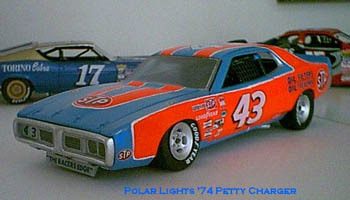 Here is the soon to be released Polar Lights Petty Charger. This is the first test shot kit which I built back in may 2001. The kit decals produced by Slixx were not ready at that time. I built the car using sheet #7243/1080 and handpainted the stripes. 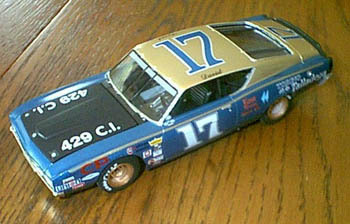 The 1969 # 17 is the Polar lights kit with included Slixx decals. The 2001 # 45 Dodge is almost completed. 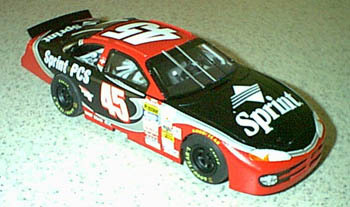 The conversion is from a Revell Taurus using Adam Petty Slixx decals.